Juniors Roadstar Baby Buggy | Blue | Fully reclined multi position seat recline. 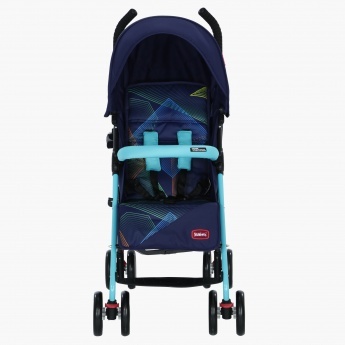 Get this buggy for your baby boy and provide him optimum relaxation throughout the day. 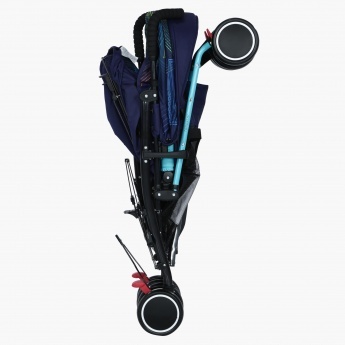 The seat reclines in different positions making this buggy an ideal pick for your little one. 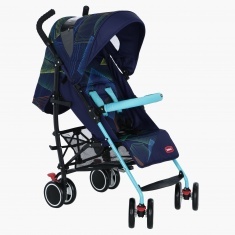 Feature 2 : Removable Canopy with Window option and 5 point harness with bumper bar. 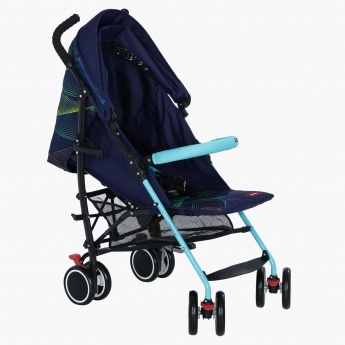 Feature 1 : Fully reclined multi position seat recline.